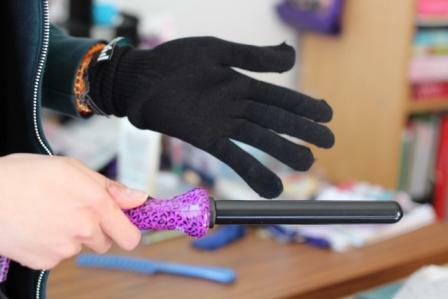 My sister is gloved and ready to curl :) Note: I have tried using it on my own with pretty good results but my sister does a better job. I'm just not that great at doing my hair in general. Although we didn't keep track of the time, it took 20 mins max to curl my entire head. Not bad! I combed the curls out to give my hair a more beachy wave look. Unfortunately, combing it out did make it a little frizzy. 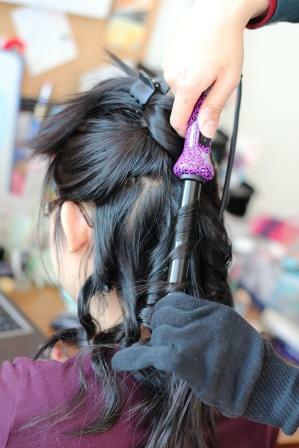 Overall I really like the PYT clip free curling wand, it heats up fast and produces a great curl that lasts. One thing I do wish it had was an adjustable heat setting, 400o F is quite high, you can really feel the heat around you when curling! 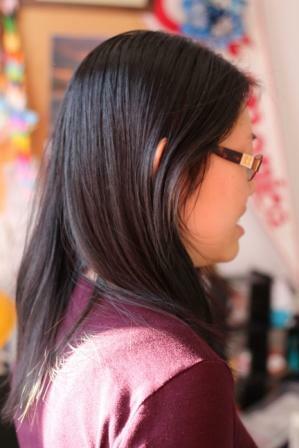 Also as my hair tends to have a lot of flyaways I will use a serum or some argan oil (any suggestions?) next time I curl my hair. 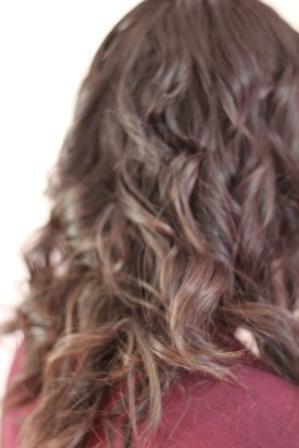 Thanks again Jen, this makes me want to curl my hair more! 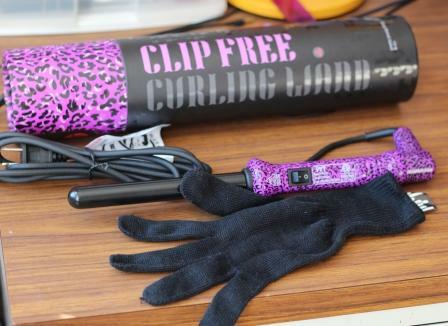 Have any of you tried this curling wand? What are your thoughts? 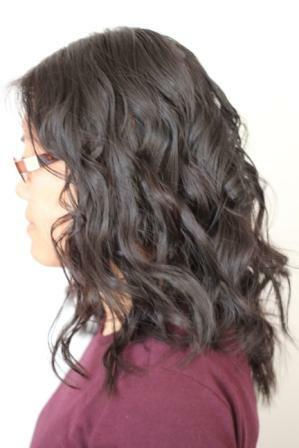 I love curling my hair - my hot tools curling iron is my fav but love seeing how others curl their hair and what tools they use! OKAY, i kneeew that there was more people than me that burnt their hand everytime they did their hair!!! can you buy the glow by its own? i really need this stuff!! puh!! Sorry I don't know if they sell it on it's own. I didn't see one for sale on the PYT site. Good luck finding one!